When I was a kid, going for a drive on a Sunday was a regular thing. A picnic would be packed and we would set off to explore our local area. It is a practice that we have continued over the years with our kids. If it’s not something you do often with your family, then I think it’s time you Revive the Sunday Drive! Living here on the Gold Coast it is so easy to find a stunning Sunday drive destination. Our favourite would have to be anywhere in the Gold Coast Hinterland like Binna Burra or Springbrook National Park. Determined to find some more great spots for your Sunday drive, I asked a few of my fellow bloggers to share their favourite drives with us. Don’t you wake up sometimes on a Sunday morning and just wish you could be easily transported to a wonderland of spectacular coastal scenery, chock-a-block with interesting things to see and do? And a great range of awesome cafes, wineries and bakeries?? Well … you’re SO in luck if you’re in Adelaide because these TOP 5 Teasers on the FAAAAAABULOUS Fleurieu Peninsula are only an hour’s drive away. Take a trip on Australia’s oldest public railway line from Goolwa to Victor Harbor. Make a day of it by hopping on and off in Port Elliott and/or Middleton and having a look around. Hire a bike, or take a hike along part (or all!) of the Encounter Bikeway, 30 km of trails following the rocky coastline and beaches of Encounter Bay between Goolwa and Victor Harbor. 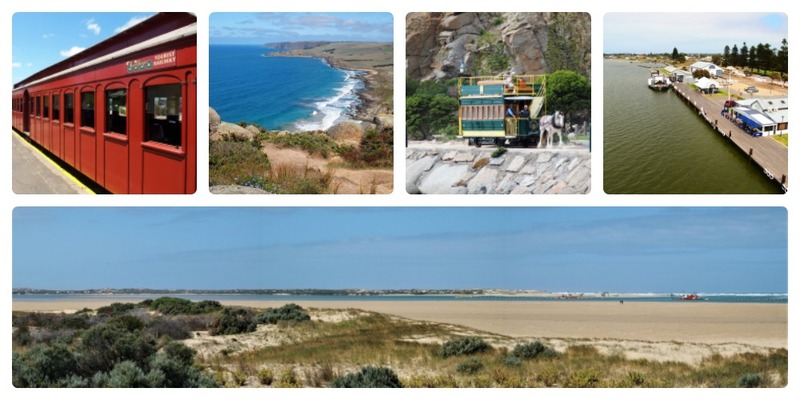 Take a cruise from Goolwa to the Murray Mouth and beyond to the Coorong. If you’ve read (or seen) classic Aussie novels All the Rivers Run or Storm Boy, some of the scenery might look familiar! Hitch a ride (for a small fee) on the historic Horse-drawn tram that crosses the causeway between Victor Harbor and Granite Island. There’s a walking trail around the island with magnificent views of the Encounter Bay coast. Most born and bred South Australians probably won’t be able to direct you to Rosetta Head. But ask for The Bluff, and chances are they’ve not only heard of Victor Harbor’s iconic landmark, they’ve climbed it! It’s a short, steep trail to the top – but the magnificent views over Encounter Bay on one side, and Petrel cove and the coast beyond makes the effort worthwhile! There! That’s more than enough for one day, so I’ll leave you to discover the bakeries, cafes and wineries for yourself! 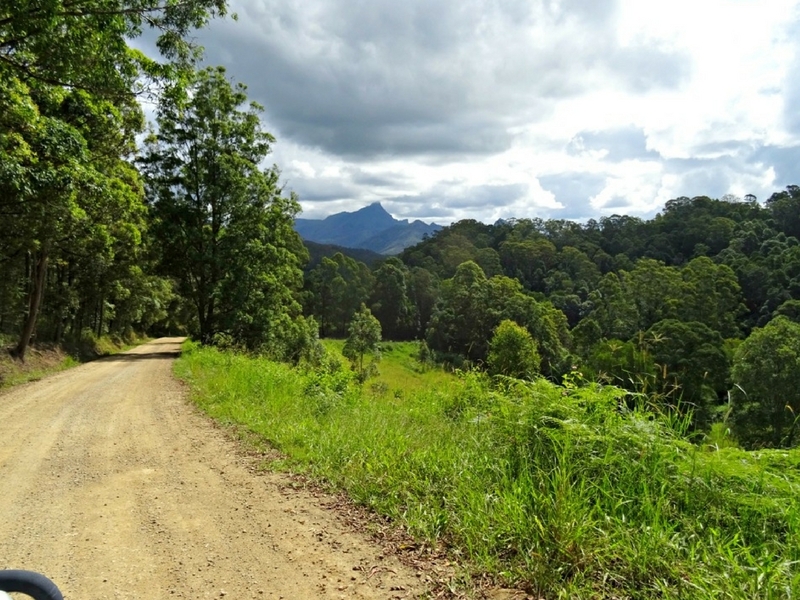 A Sunday drive in the beautiful Mullumbimby-Uki area of NSW will take you into the foothils of Mt Warning. The Rainbow region of northern New South Wales is colourful in more ways than one. It is a great place for a retro 1950’s Sunday Afternoon Drive. The drive starting point is Mullumbimby, affectionately known as Mullum. Sitting at the top of the Nimbin Alternative Lifestyle rainbow district, Mullum is home of Byron Bay’s annual Spirit Festival. Exit town via Main Arm Road, leaving the Showgrounds behind on the left and Mount Chincogan on the right. The bitumen road is quiet apart from the occasional Kookaburra and used mainly to access rural properties. Once in the Mount Jerusalem National Park the road becomes gravel, climbing through tall gums, with occasional pockets of tree ferns and massive dangling staghorns. In the 1850’s Cedar trees were felled at Uki, but today the town survives on beef, small acreage farming, tropical fruit growing, tourism as well as the one and only Uki Saw Mill. The third Sunday of the month will find the Uki Buttery Bazaar Market in full swing at Uki Hall, or on any Saturday the Farmers Market. Mullum and Uki are great towns to explore, but the Aussie bush scenery between the two is justification enough for this Sunday Arvo’ drive. The views of the Tweed Coast from Cabarita Headland are nothing short of spectacular. With more than 37 km of un-spoilt coastline, quiet estuaries, charming villages and a subtropical climate, the Tweed Coast is a comfortable day drive from the Gold Coast just across the NSW/Qld border. After you cross the Tweed River you take the Tweed Coast Road exit off the highway at Chinderah and head in a southerly direction towards Cudgen and Kingscliff. Along the way the countryside is dotted with farmlands with roadside stalls, so don’t forget to stop and sample some of the farm fresh produce. Kingscliff is the largest of the Tweed Coast villages and not only provides beach and estuary access for swimming, surfing, fishing and water sports, but features fantastic sidewalk cafes and restaurants, boutiques and gift shops, beachfront Surf Club and Bowls Club and the newly renovated Kingscliff Pub. Keep driving in a southerly direction where the villages are very close together. There is Cabarita Beach with its fabulous headland; Hastings Point and the wonderful Cudgera Creek estuary; Pottsville, a quiet coastal village situated on the banks of Mooball Creek; and lastly is Wooyung, a quiet beachside location popular with surfers and fisherman. From Wooyung the road takes a sharp right hand turn snaking it’s way through farmlands of sugar cane and banana trees. 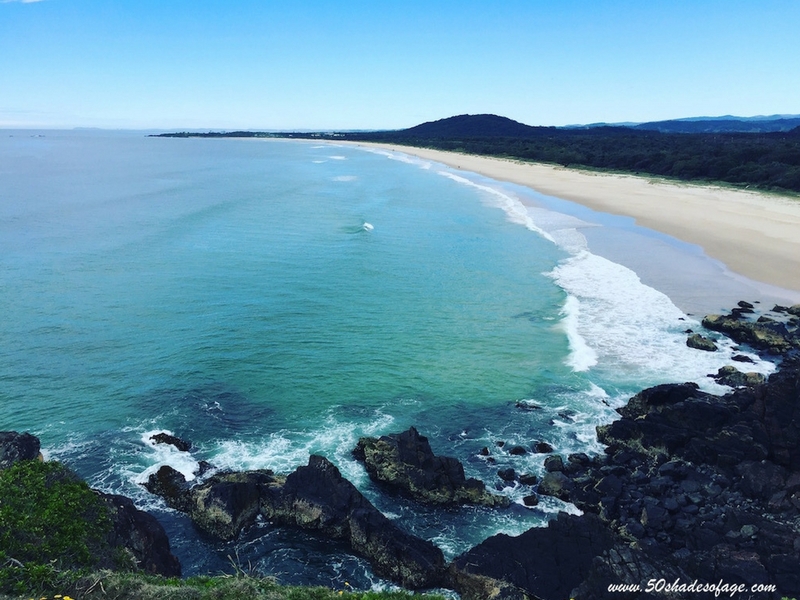 It rejoins the highway and you can either travel further down the NSW coastline to Brunswick Heads or Byron Bay; or alternatively drive via Mooball, the Buringbar Ranges to Murwillumbah and back to Tweed Heads. Spectacular scenery awaits you as you drive along the Warburton Highway. A drive down off Mt Dandenong where we live and into the Upper Yarra Valley is a splendid Sunday drive. It’s only an hour or so from Melbourne, yet does not get the same attention that the wineries of the Yarra Valley receive. Following along the Warburton Highway with a stop in the little township of Warburton for a snack or to collect picnic supplies, maybe a dip in the Yarra river and an ice cream at the Rainbow Icecream Shop. Continue on, hang a leftie to head up to Mt Donna Buang, stopping to walk through the ‘Rainforest Gallery’ on the way. An elevated walk through massive old growth Myrtle Beech forest – a stunning spot. 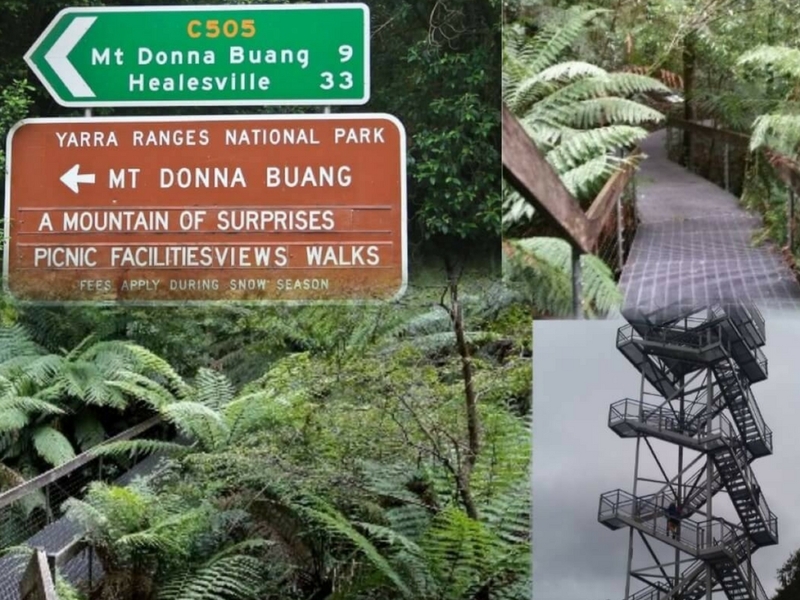 On up to the Mt Donna Buang Summit where visitors can climb the tower for 360-degree views right across the Victorian Alps and as far as Melbourne. It’s an ideal spot for a picnic or a BBQ in the shelter. We love to retrace our tracks a short way and then head along the narrow dirt road that eventually takes wanderers down into Healesville and homeward bound through the Yarra Valley. This is a drive we have done many times and a favourite to take visitors on as the scenery is so varied and the views spectacular. Serpentine Dam is the perfect Sunday drive. Situated only about 60 kilometres South West of Perth it gives you views of a variety of scenery. 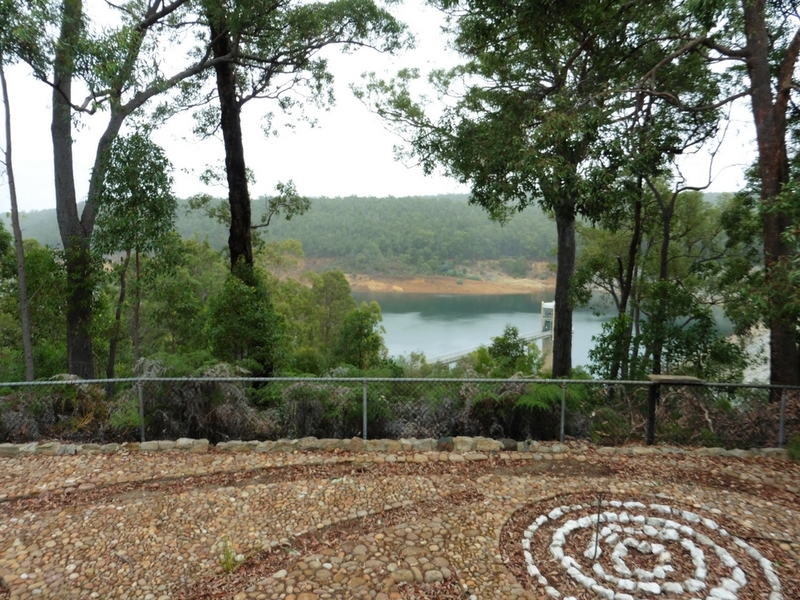 From the flat farms around Mundijong, through the forests of Jarrahdale and native bush around the dam. There are plenty of picnic spots, playgrounds, kangaroos and walking tracks to enjoy around the Serpentine National Park. But my favourite spot is the cafe which overlooks the dam. They are open for quite reasonable priced breakfasts, lunches or just to have a coffee. Not only do you get to enjoy the views, you get to keep company with a local flock of wild parrots who will join you on your table if you sit outside. You can buy seed to feed them from the cafe. They will sit on your hand and feed happily or even share your cake if you leave your plate for too long. It is quite a unique experience and as it is not overly busy you are not hurried to leave. On your way home on a clear day you can get stunning views across the coast and back to Perth. 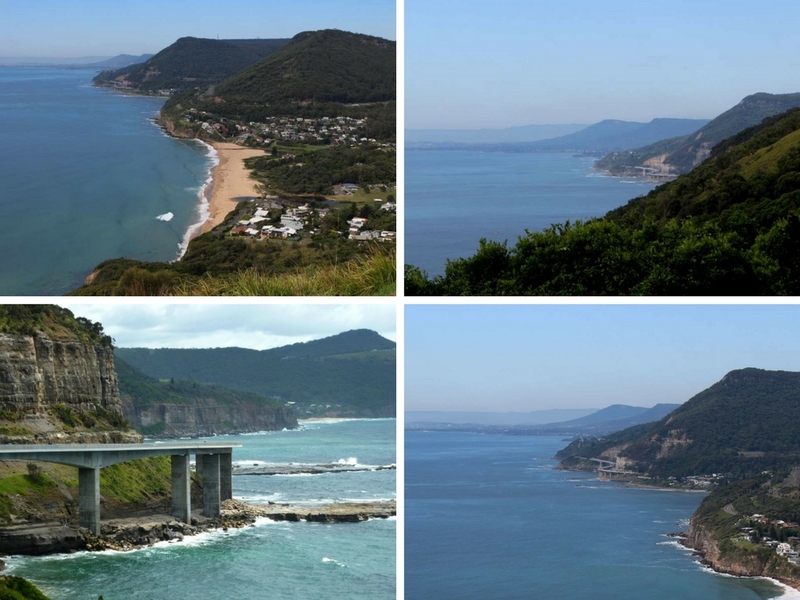 Stunning views abound on the drive from Sydney to Wollongong. If you are looking for a Sunday drive that will make you feel like you have been away for a whole lot longer this one is for you! Sitting at just under 195 kilometres round trip, you will be amazed by the amount of variety you can pack into just 7 hours. Starting 30 kilometres north of Sydney city centre at the entry to the Royal National Park and heading down the South Coast of NSW you will enjoy scenery that ranges from coastal forests to rugged sandstone cliffs. From here the road hugs the coast spoiling you with views Pacific Ocean for around every bend. One of the main reasons for the recent popularity of this drive is the 10-year-old Sea Cliff Bridge. The bridge traces the natural curves of the shoreline and juts out over the ocean making for some pretty spectacular views. Make sure you park the car and walk back north along the pedestrian walkway to get a good look. Next, it’s time to head to Wollongong for your culture fix. Take a walk to discover some fantastic street art murals and visit the biggest Buddhist Temple in the Southern Hemisphere. Curtis Falls at Mt. Tamborine is a lovely spot to walk to. Head west from the Gold Coast glitter strip for about 45 minutes, and you’ll find the beautiful green oasis of Mount Tamborine. The 28 square kilometre plateau was inhabited by Aborigines for tens of thousands of years prior to the arrival of the first European settlers to the area in 1875. The mountain’s name is derived from the Aboriginal word for finger limes, which grow on the mountain (nothing to do with the musical instrument!). Tamborine Mountain is home to the oldest National Park in Australia. 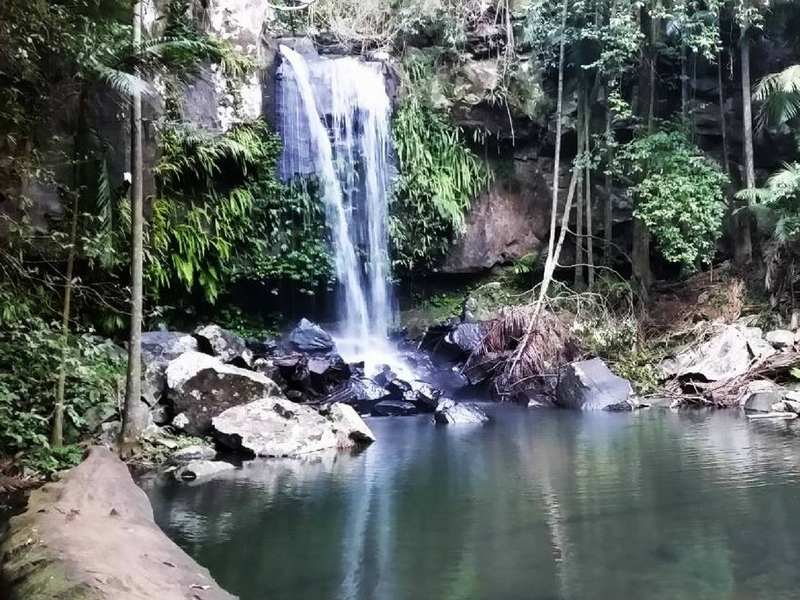 There are a variety of bush walking trails on offer, which showcase tropical rainforest and beautiful waterfalls. The mountain has long been a day tripper’s delight. With a range of cafes, restaurants and shops, these are often packed on weekends. There’s a cheese factory, several wineries with cellar door sales, Botanic Gardens, a Skywalk and a cooking school. The weekend markets are also very popular with locals and visitors. What I love most about Mount Tamborine is the pure, fresh air. There’s often a chill (compared to the coast) due to the elevation, although at just 525 metres, it’s more of a mini mountain! It has occasionally snowed up there too! So there you have it – some of the best Sunday Drive destinations in the country! Another great read thanks to you Melissa! I am always amazed at how you are able to write and make your readers feel that they are just talking to a friend. My favorite part is MT. TAMBORINE, QLD. Keep writing please! Wow! All these places look fantastic!! Can’t wait to try a few of them out next time I’m interstate!! Yes! I’m very keen to check out a few more spots now. My list just keeps getting bigger. Doesn’t this post make you want to just jump in the car and take off! Thanks for putting it together, Melissa! It definitely does Jane! I don’t think I can wait until Sunday either! Like you I’ve done the Gold Coast ones but I haven’t done the Grand Pacific Drive yet but that spectacular scenery is making me want to do it sooner rather than later! A tantalising selection of Sunday Drives here. I’m close to the Tweed Coast now but on the way to Byron Bay we’ve stuck to the highway (eager to arrive lol). But next time I’ll spend time following the coast! South Australia is on my road trip list, but that will be a bit longer than a Sunday Drive. I’ve been lucky enough to have driven the others. Sharing Sunday Drives is a great idea. Thanks Jan…..make sure you check out the Gold Coast Hinterland. It’s a truly spectacular spot for a Sunday drive!